Hotel H Top Palm Beach & Spa brings to you the comfort and ambience of the perfect Mediterranean holiday in Spain. 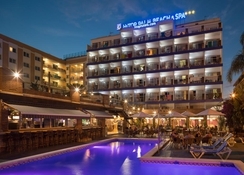 The hotel is a 5-minute walk from the Fenals beach and if you continue for another five, you will reach the centre of the action with various shops, nightclubs, bars and restaurants. Feel at home in any of the 153 rooms that the hotel offers. The Wi-Fi Internet connection (for a fee) will keep you in touch with your loved ones. You can also watch your favourite show on the television with satellite channels. The bathroom is stocked with complimentary toiletries and bidet. Amenities include a safe, desk and telephone. This cosy hotel is located only 400m from the beautiful beach, and the city centre is a ten-minute walk away. In the vicinity (about 500m) you can find a wide range of shops, shops, bars and restaurants, as well as nightclubs. Not far away there is also a public transport stop (20m). Barcelona airport is 94km, while the Gerona airport is 30km away. Hotel H Top Palm Beach & Spa offers a total of 153 rooms, most of them facing the sea. Guests can choose from TOP All Inclusive Premium or Gold, Full Board or Full Board Silver, Half Board or Half Board Silver or Room only or Bed & Breakfast. The rooms, decorated and furnished with good taste, have a private bathroom with shower and bathtub. In addition, they are equipped with a direct dial telephone, a double bed and satellite or cable TV. They have heating, balcony and safe for rent. Hotel H Top Palm Beach & Spa features a buffet restaurant offering Mediterranean and international cuisine. The restaurant offers breakfast, lunch and dinner. In addition, the hotel features a bar and a snack bar. In the outdoor complex of Hotel H Top Palm Beach & Spa you can find a swimming pool for adults and another children's pool. 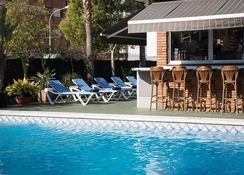 It also features a pool bar, sun loungers and parasols. 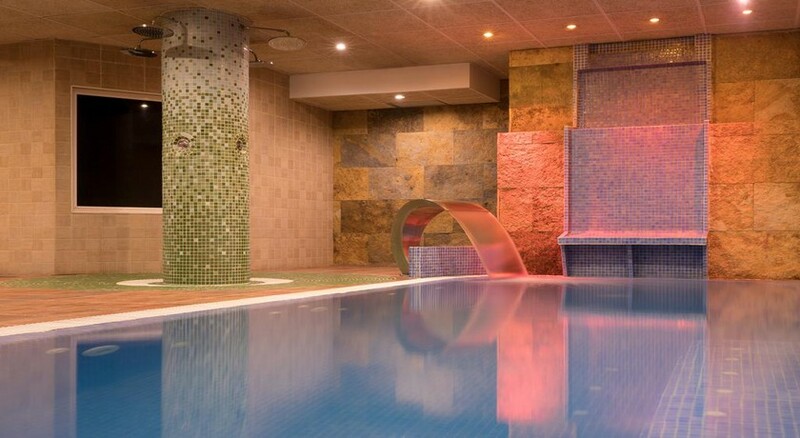 On the premises you can find an indoor pool, Jacuzzi, sauna, solarium, steam baths and massage service. Those who are interested in sports and stay fit can use the hotel gym. So that you do not get bored, you are offered a program of activities and entertainment, both for adults and children. I went to H. top palm Beach hotel at the end of August with 3 friends and had a brilliant time. Everyone at the hotel was frie dly including the guests. the We couldn't fault the food and the staff who work very hard. There was plenty of entertainment especially for children and then later entertainment for adults. The animation team could have been a bit more enthusiastic but that didn't stop everyone for from having a good time. I Overall the holiday was an absolute bargain! The staff that arrange kids entertainment are really good and enthusiastic. Bar and pool both very small and you'll want to get out and about. Food was quite good but at times the dining area was very very crowded, and we'd have to wait for a table. The main area of the town is a bit of a walk away, but all in all if you're looking for a cheap and cheerful place you could do worse. Your average 3* didn't expect to much ,so wasn't dissapoited ,family hotel can be loud at times ,staff were friendly ,no complaints ,food average for 3* rooms clean, sevice good .